The Airlighter is a USB-rechargeable, handheld butane torch with a fan setting designed to quickly light charcoal, firewood, or whatever else you want to blast with high intensity flames (hopefully not your fingers, as the bright blue flame burns hot enough that it’s tough to see in daylight hours, so pay attention!). Every time I click on my Airlighter, Smokey the Bear prays to whatever forest god he believes in that I don’t point it toward an innocent tree. The Airlighter is to a match what a cruise missile is to a BB gun. In other words, this lighter works… and fast. I’ve had good luck using it directly on coals to get them ready for my grill and on campfire wood–I never was a boy scout, so having an edge in this latter category helps balance out my kindling-design ineptitude. But don’t take my word for the Airlighter’s potential, take the word of the promotional email that preceded my order: “If you¹re still striking matches or flicking a Bic to light a fire, it¹s time to leave the caveman days behind. The new Bison Airlighter combines a high velocity, 4-inch flame with a jet-air-stream to ignite charcoal and wood instantly. 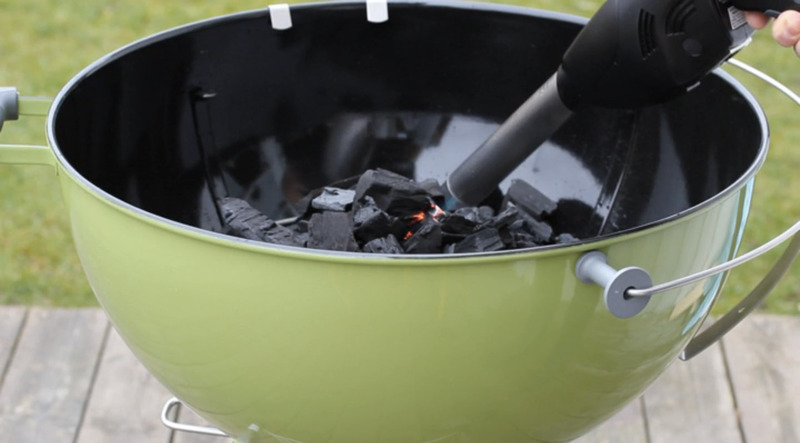 Using the Bison Airlighter you can be barbecuing for guests over hot coals within five minutes without ever having to resort to lighter fluid or gasoline.” Indeed. Hyperbole aside, it’s hard to argue with the Airlighter’s results. My only complaint is that the first review model I received had a problem with the butane intake line that prevented me from filling its fuel tank without spilling butane; it needed replacement. This issue may well have been a fluke, it’s hard to know. The company was responsive to my request for a replacement model, and does offer a one-year warranty. Other than that problem, the real question you’ll need to ask yourself is whether a high powered butane lighter is worth the $100 it costs, as compared to similar lower cost torches, or compared to a 99 cent lighter and a $15 charcoal chimney. I think backyard grill gadgets can be fun, so it’s really a question of whether one wants to put $100 towards a lighter or toward something else equally unnecessary but kind of awesome. Happy choosing! *Full disclosure: the Bison company sent me a free lighter to test, though per my usual policy I did not promise to review it and told them in advance that I’d be honest if I did. Whether you spell it with one g or two, the Hillsborough Hog(g) Day festival has come to an end after 31 years. Although it was a nice event, the cancellation makes sense to me–Orange County Chamber of Commerce cited an interest in focusing their limited capacity on economic development rather than festival coordination. Learn more in the Chapel Hill News. Maybe a volunteer organizing committee (not it!) will try and bring the festival back to life. Or maybe a professional in the event business will come up with a proposal to revive the event. Until then, thanks for the Hog Day memories. Honestly, some of my most enduring memories are of oppressive heat and mid-rate Elvis impersonations, yet I still had fun every time I attended and surely tens of thousands of others did too. R.I.P. If you are a vegetarian, you may want to attend a future event! Since this is a pork-focused menu, vegetarian options will unfortunately not be available. 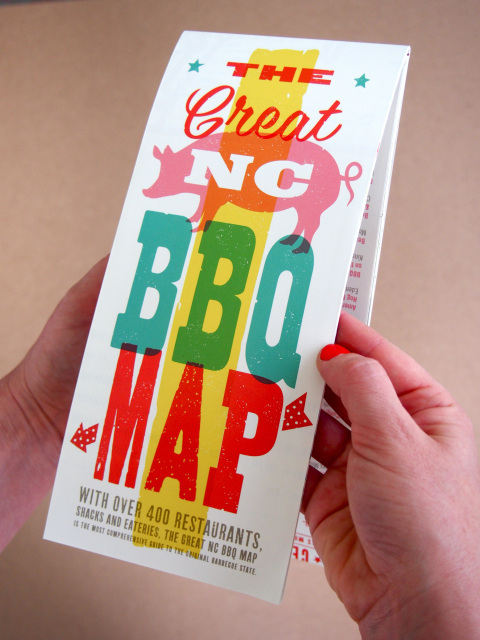 North Carolina barbecue at it’s finest! Toast’s very own Billy Cotter will be cooking up some of his Southern favorites, but with a modern twist! This meal will be served family style, to ensure you get to know your neighbors as you have your very own pig pickin’ at the table. Other menu items include pimento cheese and homemade flatbreads, Billy’s take on NC clam chowder, winter greens salad with ham hock vinaigrette, and a special made in house headcheese. Ticket sales include a can of PBR upon entry. Hand crafted cocktails, wine and craft beers will be available for purchase at The Cookery’s bar. All bar proceeds will also be donated to Meals on Wheels of Durham. TICKETS GO ON SALE TONIGHT AT 5pm!